When you work with the best, you can have confidence that you’ll get the best in return. This is the type of experience you should have when you shop for a new car at top-notch dealerships. 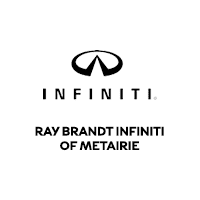 The best INFINITI dealers in Metairie, LA, know how to treat you right from the moment you walk through the door until you drive home in your new vehicle. These dealers have the expertise, experience, and customer service qualities to help ensure your car-buying trip is memorable and pleasant. Unfortunately, it seems as though far too many Metairie, LA, shoppers have negative experiences on one end of the spectrum or the other. Either people will complain that the dealership staff ignored them or disregarded their questions or concerns, or people will report that the over-the-top, high-pressure sales tactics turned them off. You want your trip to be somewhere in the middle. The best dealership staff members will give you time and space to make a decision, but they’ll be available to walk you through the process from start to finish. You may very well visit INFINITI dealers for reasons other than buying a car. The top dealerships not only have a knowledgeable sales staff, but they also have full-service maintenance and repair departments, shuttle services, and comfortable waiting rooms. It can give you peace of mind to know that no matter what needs you have for your car, a reputable dealership can take care of you with a wide range of services and help. The car-buying process can take considerable time, so why not speed it up a bit by eliminating the middleman? If you need financing before you can drive home to Metairie, LA, many dealerships can help with that. A qualified team of loan professionals will review your credit and income and will help get you into a loan that fits you. This will allow you to skip the back-and-forth you often find when working with financial institutions. No matter how well the dealership staff comes to your aid, if the facility is dirty, falling apart, or full of clutter, you may have a negative experience. The top INFINITI dealers place high importance on keeping a tidy appearance. If you find INFINITI dealers in Metairie, LA, with these characteristics, you should be in good shape for picking out your next vehicle. Make sure you come to Ray Brandt INFINITI to check out the selection.